Terri has been active in sports since she was a child. She played softball and basketball in her hometown (Kansas City) City League, helping her teams win several local and regional championships. After she entered college in 1979, she began formally studying movement arts, including both theatre and dance. From 1979-82, she studied dance at the UMKC Conservatory under the direction of ballet mistresses Titania Doukodovska (formerly of the Ballet Russe de Monte Carlo) and Shirley Weaver. In 1984, Terri began her study of Taijiquan (T’ai Chi Ch’uan). The basic principles of balance, timing, and body placement followed easily from the discipline she had acquired for dance. In July 1985, she met Master Huang Weilun and began learning traditional Yang style taijiquan. 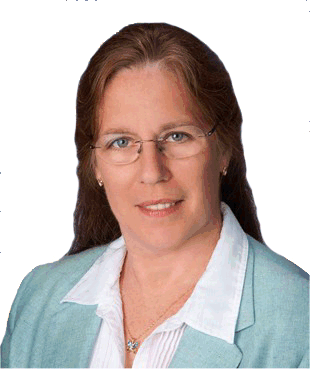 With his encouragement, Terri began teaching Taiji during the summer of 1988, leading small classes in Ft. Lauderdale. In 1989, Terri won first place in Yang style taiji at the first US National Chinese Martial Arts Competition held in Houston, TX. Of all 55 competitors entered in the division (men and women), Terri earned the highest scores. This marked the beginning of a period of change and growth which led her to the International All Taijiquan Tournament in Winchester, VA during the summer of 1990 and then on to China. Besides participating in the competition, Terri had the opportunity to meet and study with Master Yang Zhenduo, the youngest son of the style’s founder Yang Chengfu. On returning home to Miami, Terri received a letter offering her a job teaching English at a small college in Luoyang in the central province of Henan in the People’s Republic of China. Terri lived in Luoyang from October 1990 to September 1991. While there, she had a second opportunity to go to study with Yang Zhenduo in his hometown of Taiyuan in Shanxi province. During her stay in China, Terri went to Zhengzhou where she met and began studying with Professor Liu Yuzeng, 31st generation disciple of the Shaolin Temple and 8th generation Wudang disciple. She became an inside student and remains one of his top senior students today. From him she learned several sets from the Wudang system, baguazhang, xingyiquan, as well as several sets from the Shaolin Lohan system. Terri was one of the first teachers to bring Wudang martial arts out of China when she returned to the US in 1991. She brought Prof. Liu to the US to teach seminars every summer from 1995-2001. In September of 1993, Terri opened a taijiquan class at the University of Missouri at Kansas City’s Swinney Recreation Center which she taught until 2001. 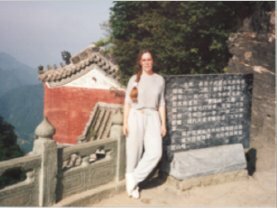 In 1993 and again in 1996, Terri applied for and was awarded the US Presidential Sports Award for her commitment and dedication to teaching Taijiquan. 1994 was a busy year for Terri. In July, she successfully directed the first Central States Regional Championships for the USA Wushu-Kungfu Federation. A week later, she attended a traditional sword form seminar taught by Yang Zhenduo in Frederick, Maryland. Over Labor Day weekend, she attended the USAWKF Nationals in Orlando, FL where she again earned the US National title in Yang style taiji. In the following years, Terri concentrated more on teaching and judging. Her students have all done well, earning first and second place at international events. In 1997, Terri again entered competition. She won the traditional taiji event at the International Shaolin Festival in Zhengzhou, China with a Yang style form. In the same event, she also placed sixth with a Wudang Taiji form. She was the only international competitor to place in that division. Terri earned awards in all four of the events she entered, including third place in traditional the Shaolin competition. Terri retired from competition in 1998. She remains active as a judge and advisor for various events. Since 2000, she has regularly been an invited judge for the International Kung Fu Championships hosted by Nick Scrima in Orlando, FL. In 2010, Terri was an invited guest of Wu Yinghua, lineage holder of Liu He Ba Fa from his father, Wu Yihui, at the first inaugural Liu He Ba Fa tournament and association gathering in Huainan, Anhui. Today, Terri continues teaching, research, developing her Chinese language skills and working on her own martial arts practice. She maintains a strong relationship with Prof. Liu in Zhengzhou, talking with him frequently, collaborating with him on research projects, and visiting him regularly.